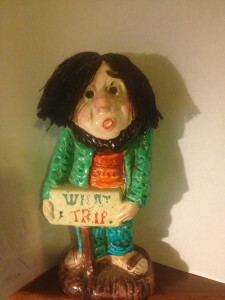 I have published posts about Ken Stein here before, first about his collection of Berkeley-themed souvenir spoons and then about his collection of Berkeley buttons. Stein has been part of Berkeley’s DNA for almost five decades. He is a rare combination of political activist, writer/journalist, collector, and historian. In the photo above he is giving the City Council hell. 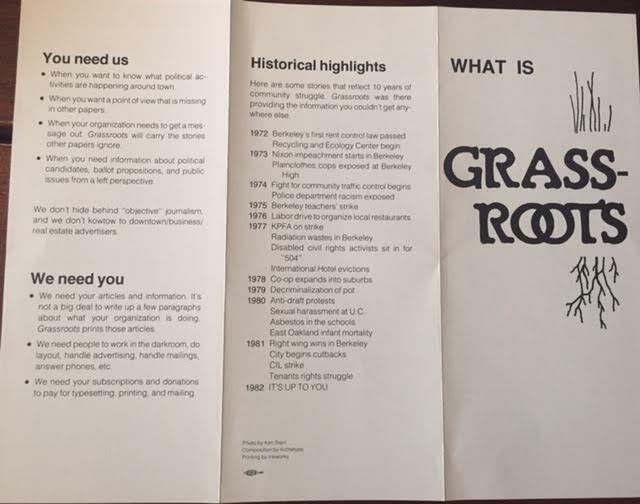 Most of the articles were for Grassroots, a newspaper published by an organization of the same name. Its homepage is instructive, as is Ken Stein’s description of it on his Facebook page. 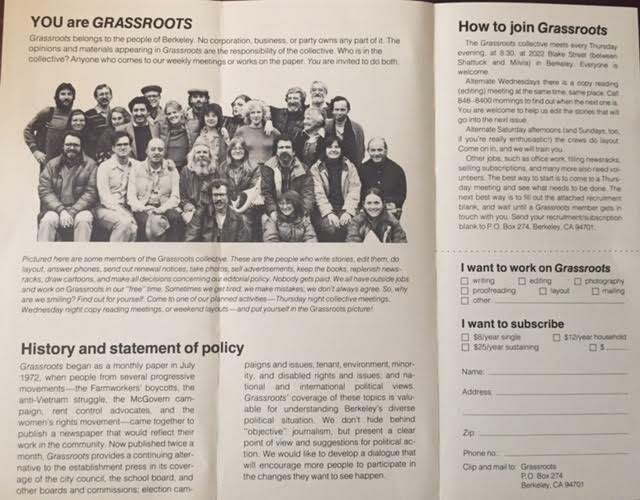 Grassroots the newspaper was a progressive/left-wing, all-volunteer newspaper collective that ran from 1972 until 1986. 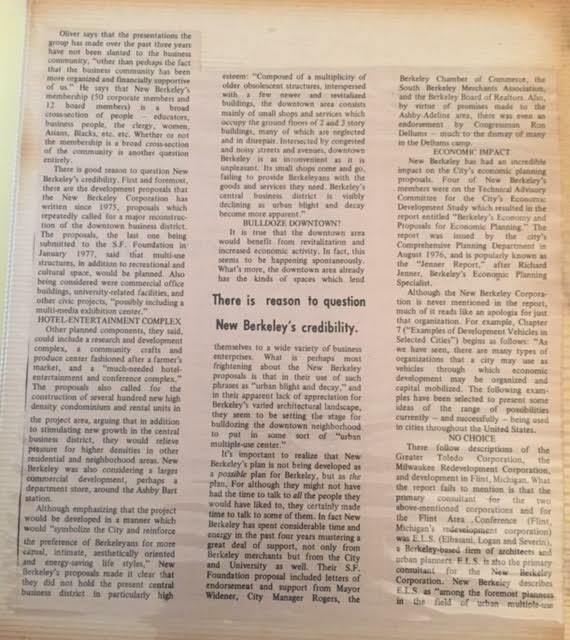 The newspaper had none of the cultural excesses that were celebrated in the Barb (still around but floundering when Grassroots started up) or the Tribe (last published in 1972), and its progressive values were front and center. That’s the background. Now let’s wander through the pages, a random look at history that we may or may not know. 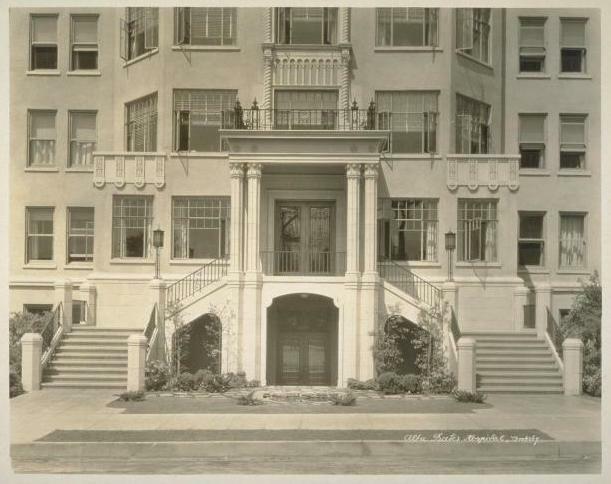 I have wondered what the houses along the north side of Hearst looked like before they were demolished to make way for BART construction. 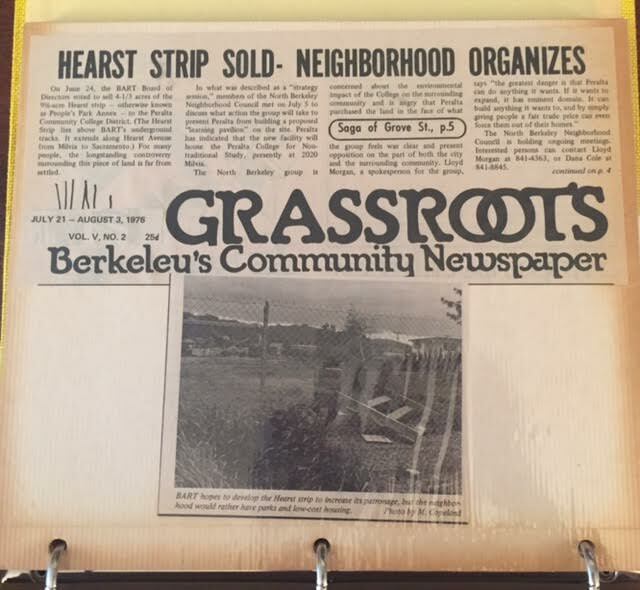 Here is a brief look at what was called the “Hearst Strip” and is now Ohlone Park. After the trench BART was filled in, BART planned to construct apartment complexes on the strip. 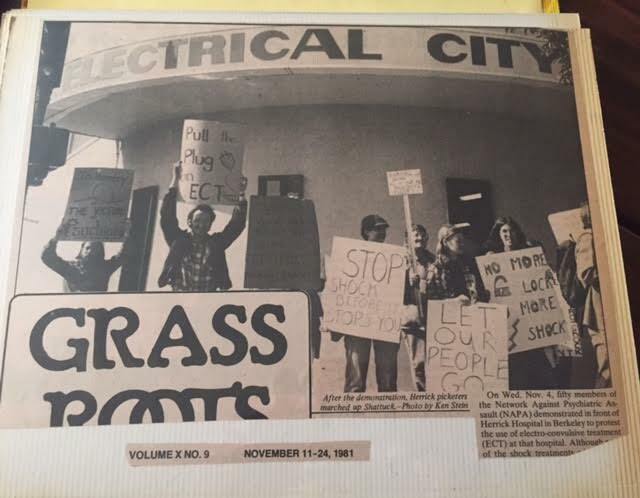 Berkeley citizens began planting sod and trees and dubbed the strip “People’s Park Annex”. 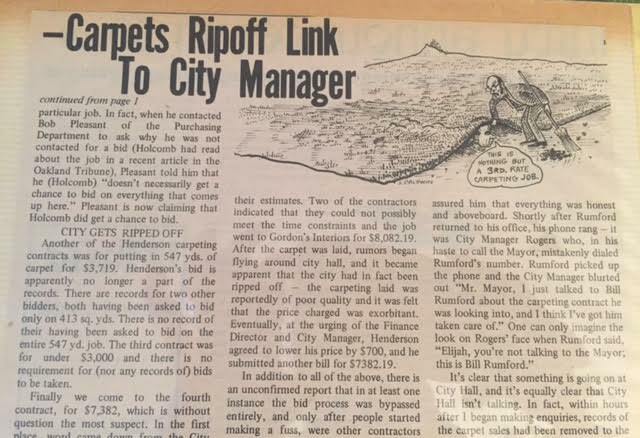 BART eventually agreed to turn the Hearst Strip over to the City of Berkeley. 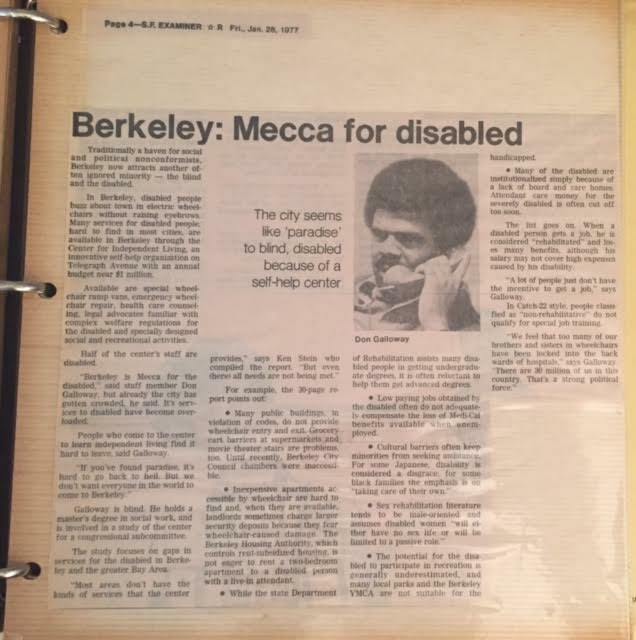 This is a fairly early article about the growing disability rights movement centered in Berkeley. Don Galloway is one of the figures shown in the mural in the parking lot of the former Center for Independent Living office on Telegraph, soon to be razed and developed. He was the head of CIL’s R&D/Peer Counseling Project. According to Lead On Network, “Mr. 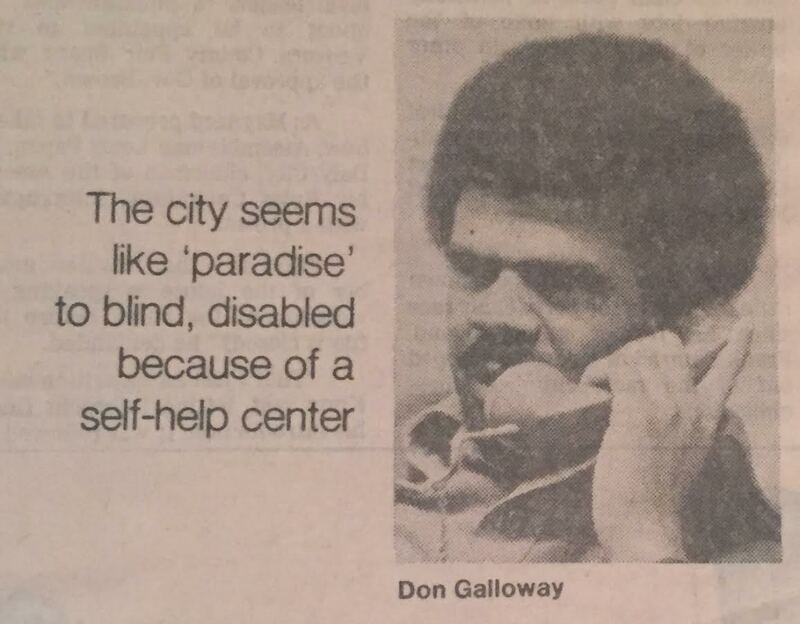 Galloway’s introduction to the independent living movement came in 1974. 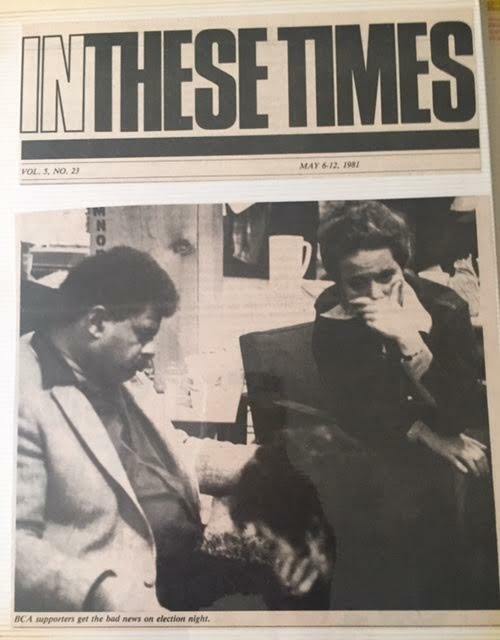 Ed Roberts invited him to work with the Center for Independent Living as its director of services for blind people and soon began pressing the almost entirely white independent living movement to become more inclusive of people of color.” See this for more or this stirring obituary. 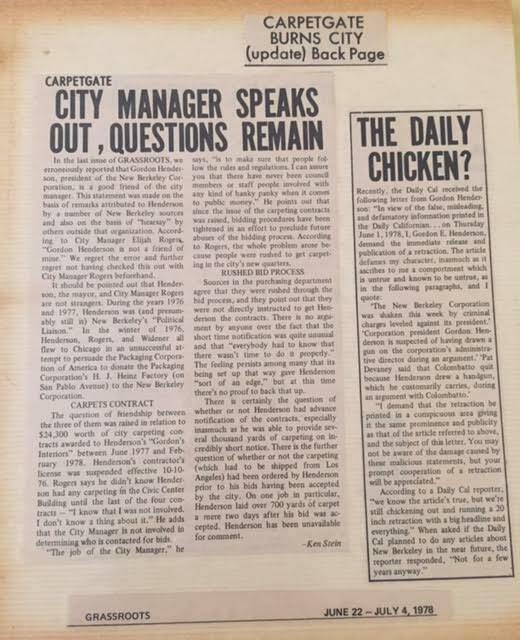 The Independent was CIL’s national quarterly magazine. 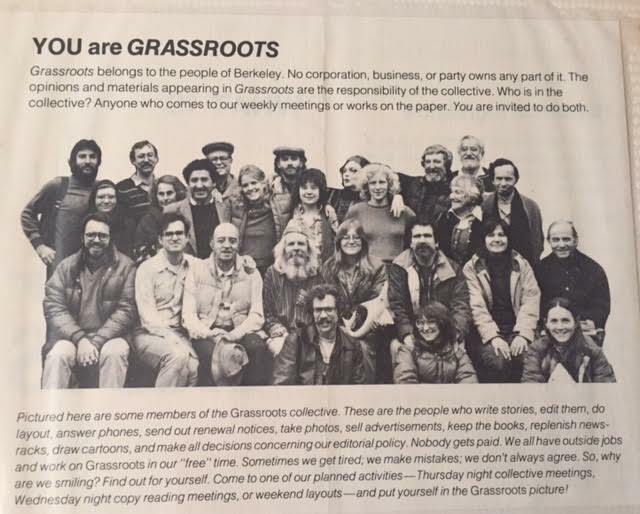 It helped spread the word about the then-new, Berkeley-born and bred, Indepdent Living Movement to the rest of the country. 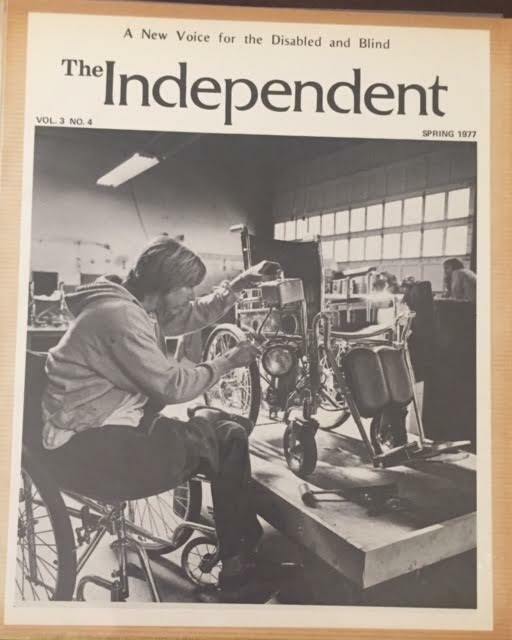 Stein was Assistant Editor of The Independent in 1977 when published an article about the disability community’s early fight with the City of Berkeley. The Fire Department had nixed the use of an upper story in the Tioga Building at 2020 Milvia for CIL’s Computer Training Project because they said it would not be safe for people with disabilities. The people with disabilities fought back, and won. 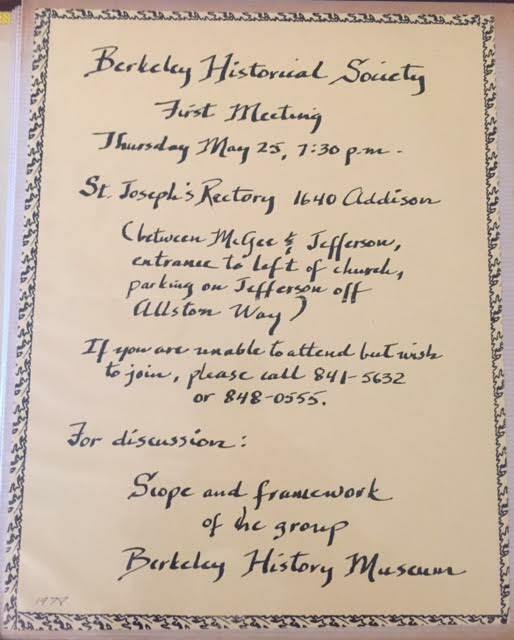 The Berkeley Historical Society was founded in the summer of 1978 from the ad-hoc Berkeley Centennial Celebration Committee. Stein and Bob Yamada were driving fires behind its creation. 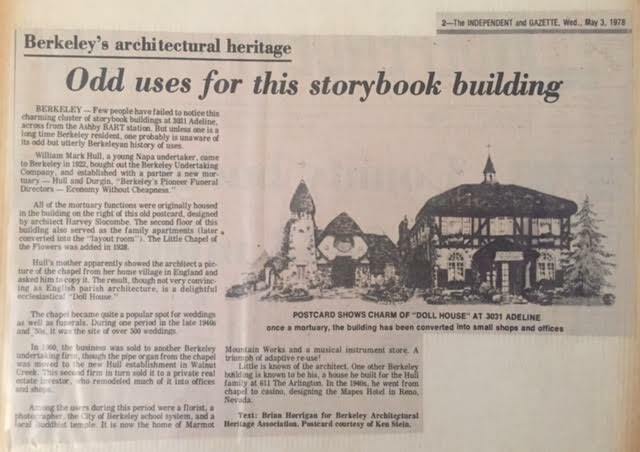 Stein provided the postcard for this article about the former Hull Undertaking Co. funeral home and St. John the Baptist Russian Orthodox church. Daniella Thompson wrote a thorough piece on the buildings for BAHA, seen here. 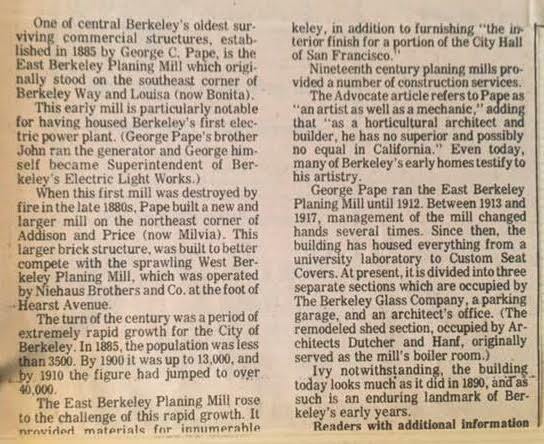 The Berkeley Planing Mill at Addison and Milvia housed Berkeley’s first electric power plant. 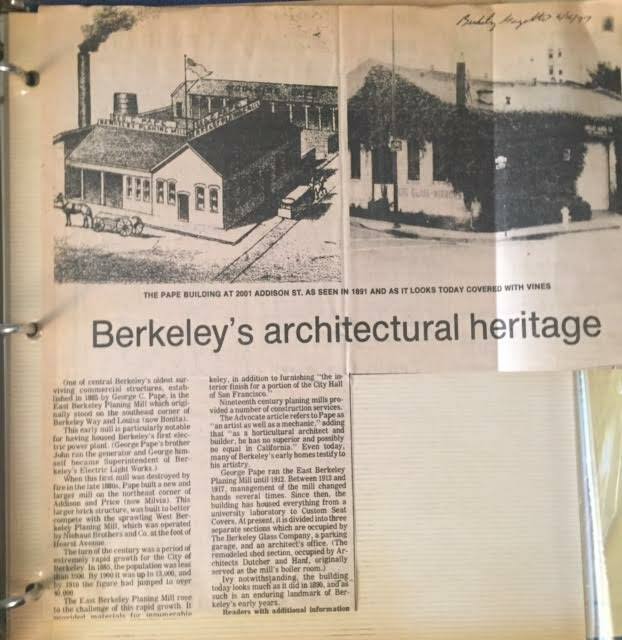 It was, in 1977, “an enduring landmark of Berkeley’s early years.” Until it was demolished. Stein (Ken) obtained this photograph from Louis Stein (no relation) for an article in Grassroots. 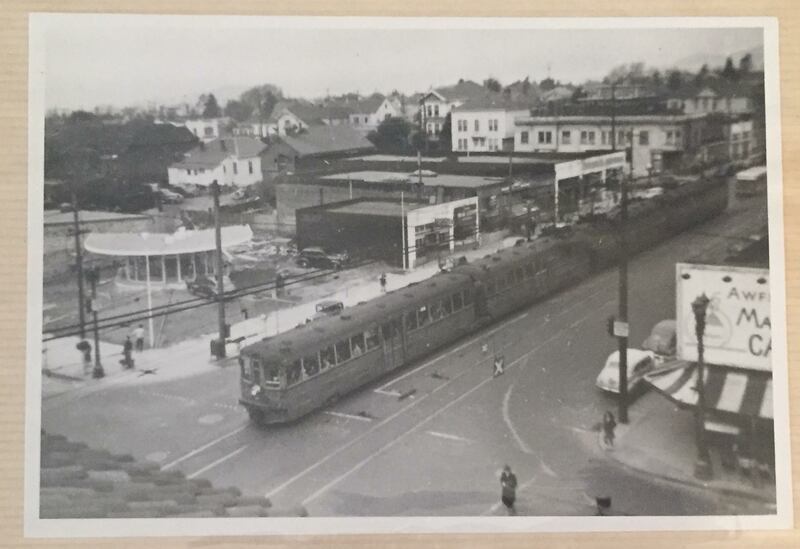 It shows the northwest corner of Shattuck and University, with a drive-in hamburger stand at the location that is now MacDonald’s. A hint of the Macfarlane’s Candy store on the northeast corner is visible at the right side of the photo. 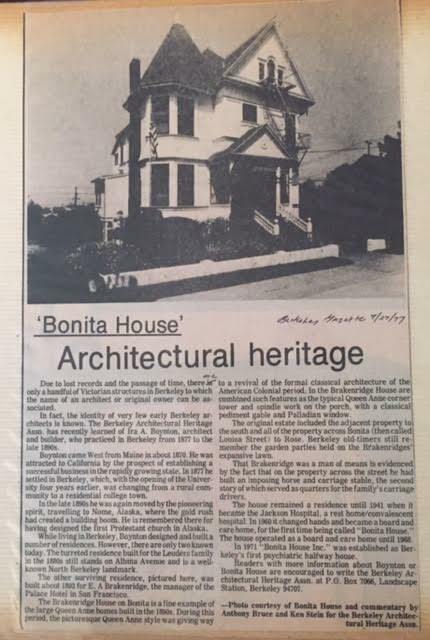 Stein worked at the Bonita House in the early 1970s. It is a psychiatric halfway house and still operating today. 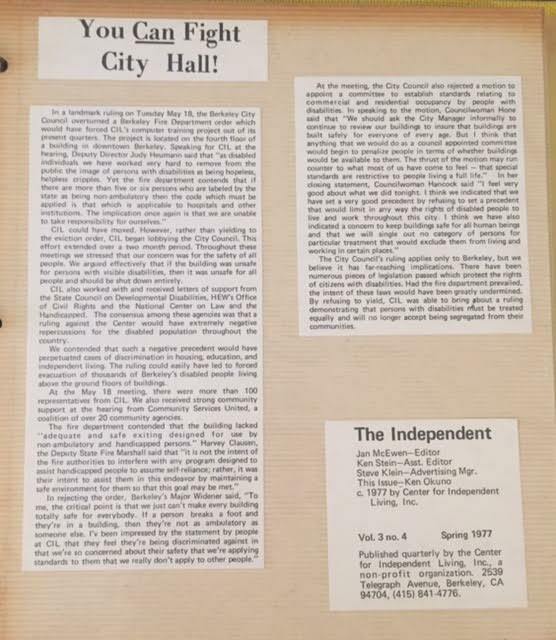 This is an early article by Stein about a 1970s effort to develop downtown Berkeley. 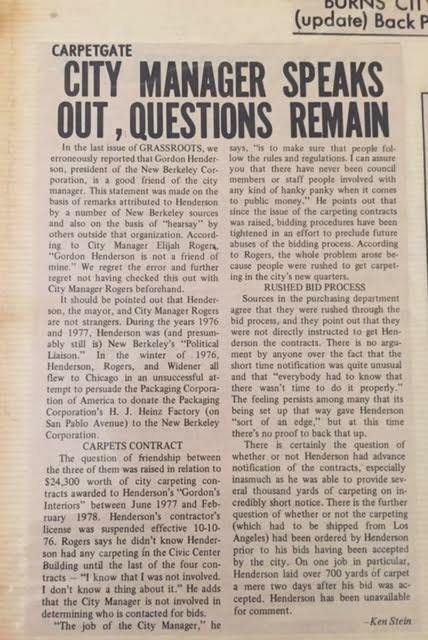 Grassroots saw it as “a grand conspiracy by a lot of money-grubbing business interests.” It would evolve into a scandal called “Carpetgate,” covered below. 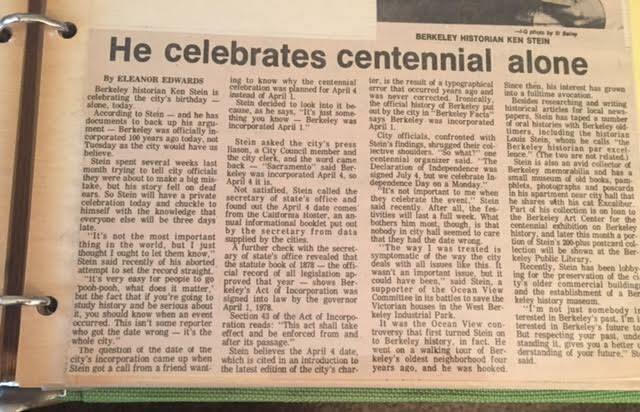 Stein’s historical research put him at odds with the official date of Berkeley’s founding, as described in this Gazette article. 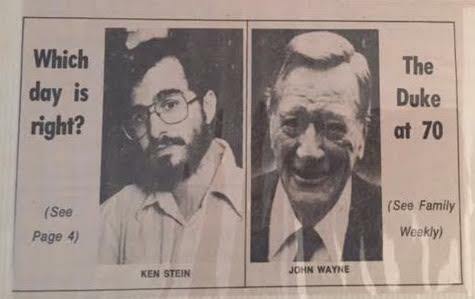 Of special interest to Stein was the front page, where his photograph was juxtaposed with a photograph of John Wayne. Sharing the top bill with The Duke! 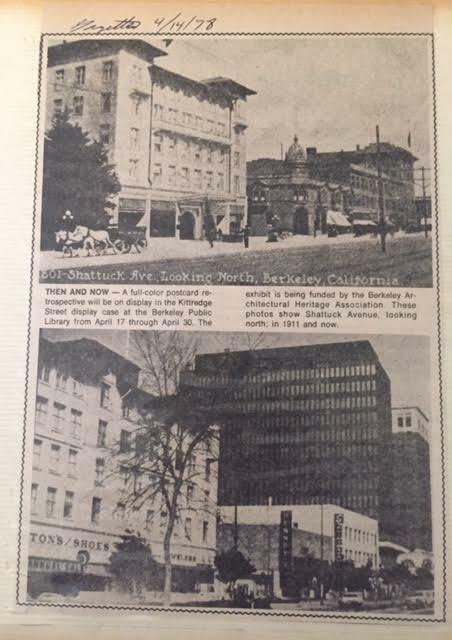 Stein’s huge collection of Berkeley postcards was featured in a display at the library, including this juxtaposition of Shattuck in 1911 and 1978. 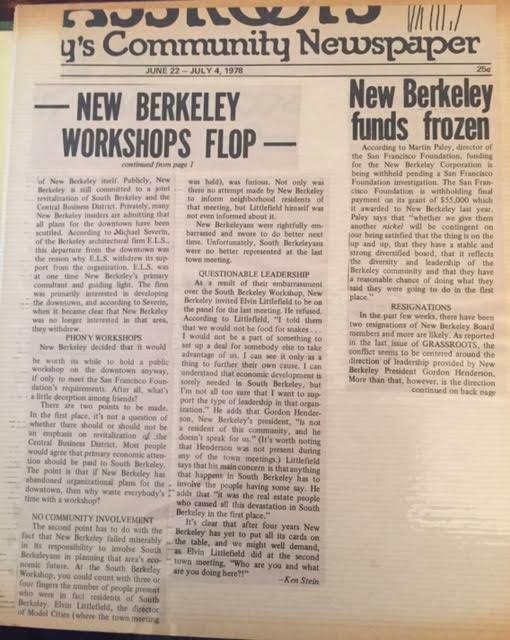 New Berkeley tried a new tactic – workshops. Nope. Owl Shoe Repair at University & Shattuck was in a 1909 John Galen Howard Building. There was a fire in it in 1978. A landmark application was submitted. 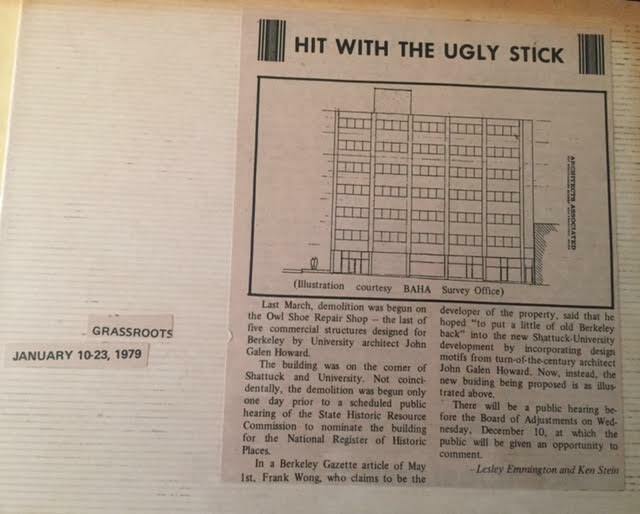 The Landmark Preservation Commission declined to designate it even though it was the last of his downtown buildings. 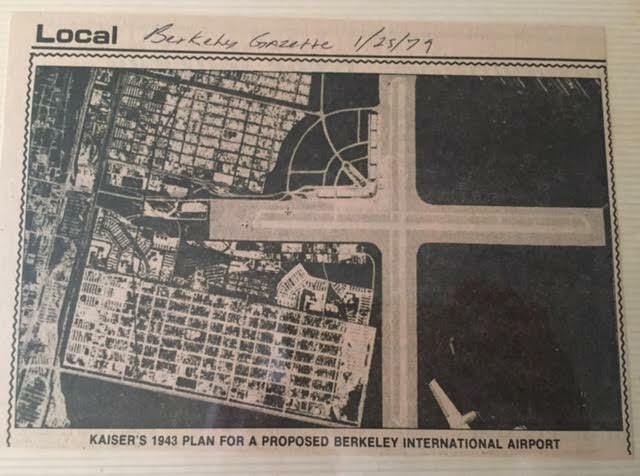 In early 1979, Stein wrote about an earlier plan for a proposal Berkeley International Airport. Who knew? In 1974, Karen Silkwood was killed in a car accident that was viewed as suspicious. 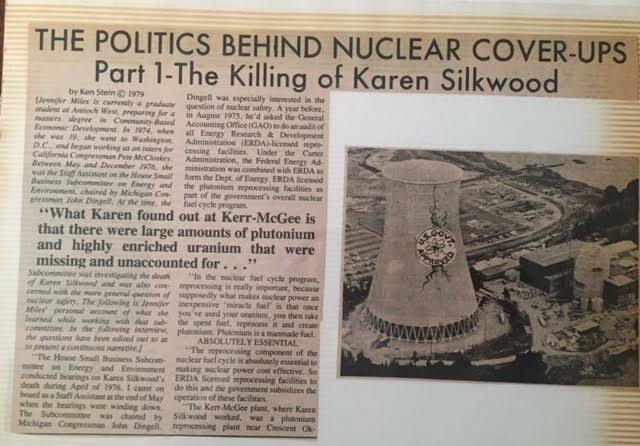 She was a nuclear safety activist and her death became a cause. 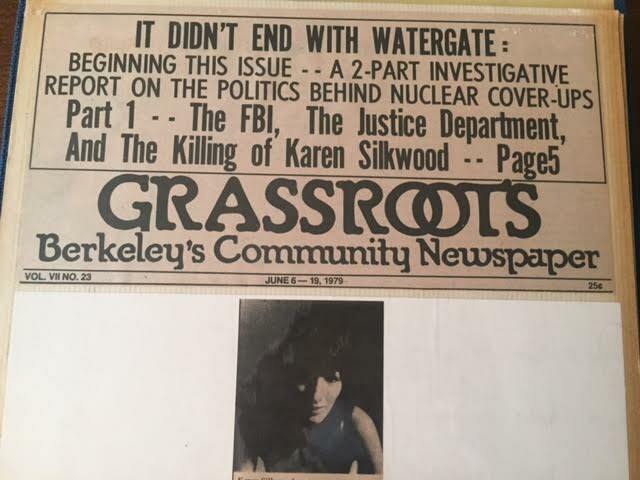 In 1979, Stein wrote ant article looking at the real reasons behind Silkwood’s death. 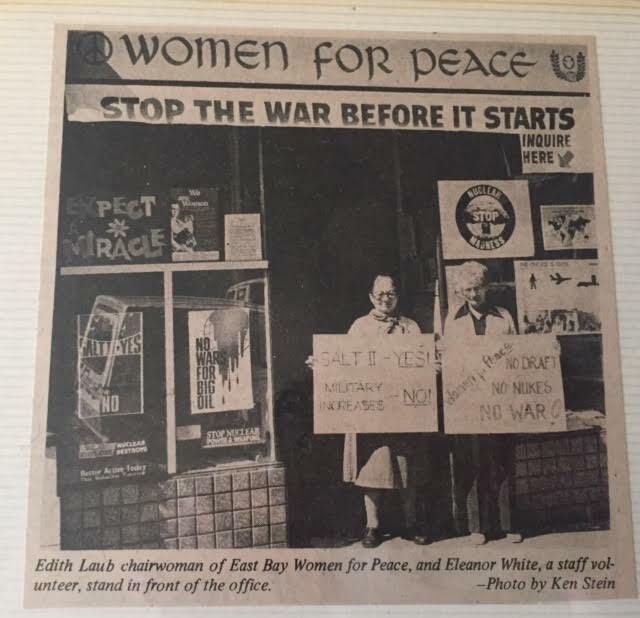 Women for Peace was founded in 1963. Stein took this photo in 1981. 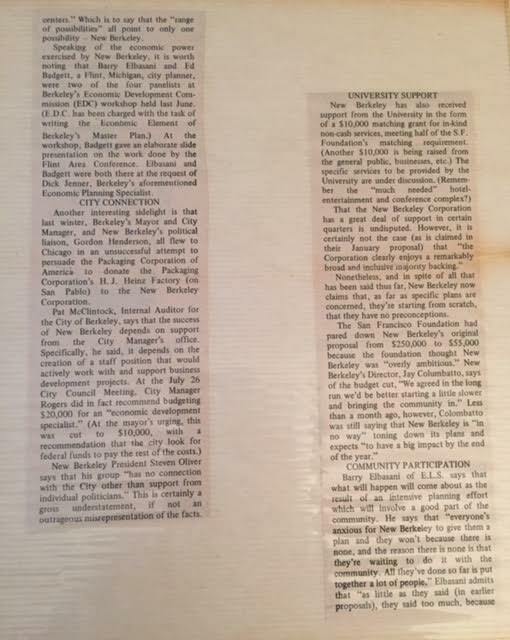 In the 1981 City Council election, the progressive BCA lost its majority on the Council. The New York Times took notice. 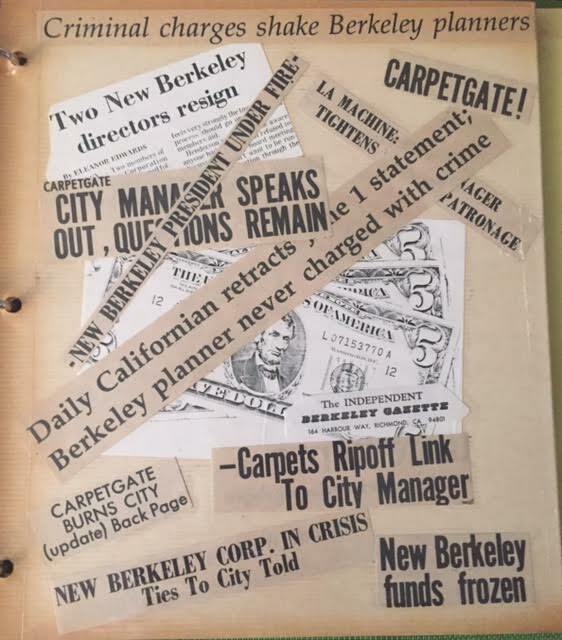 This collage shows the collapse of the New Berkeley project and the unraveling of the Carpetgate scandal. 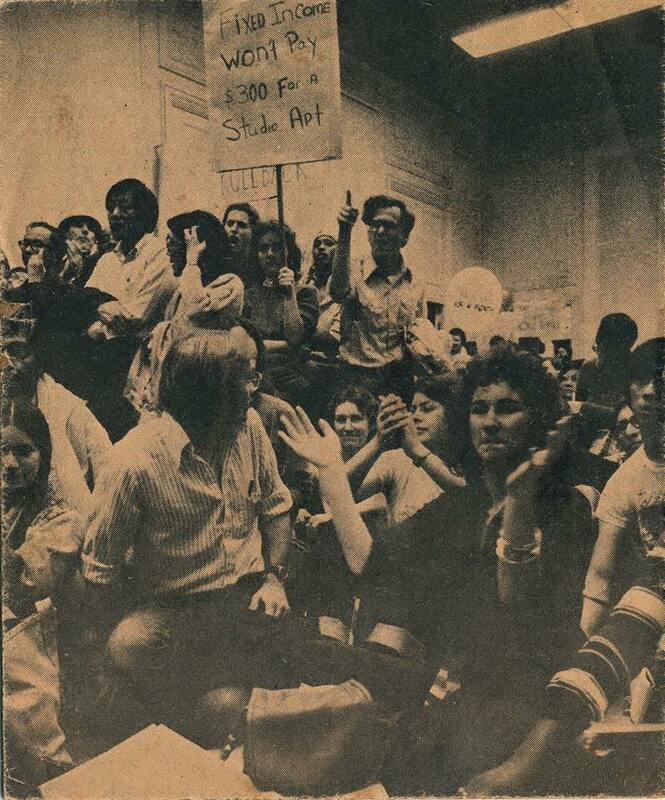 The disability rights movement continued to build, and Stein continued to chronicle it. 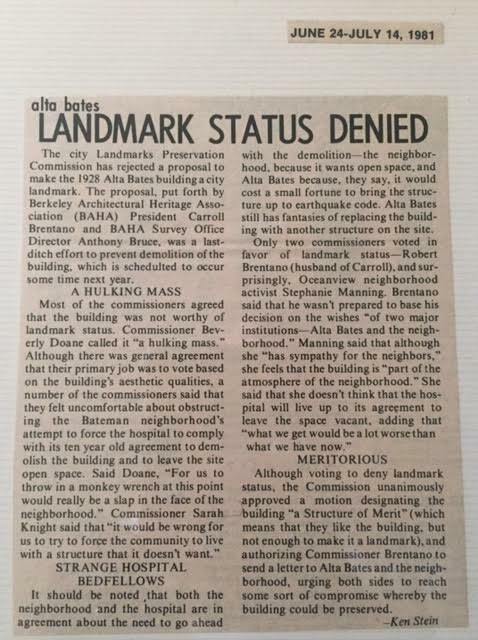 Stein reported on the denial of landmark status to the original Alta Bates hospital. 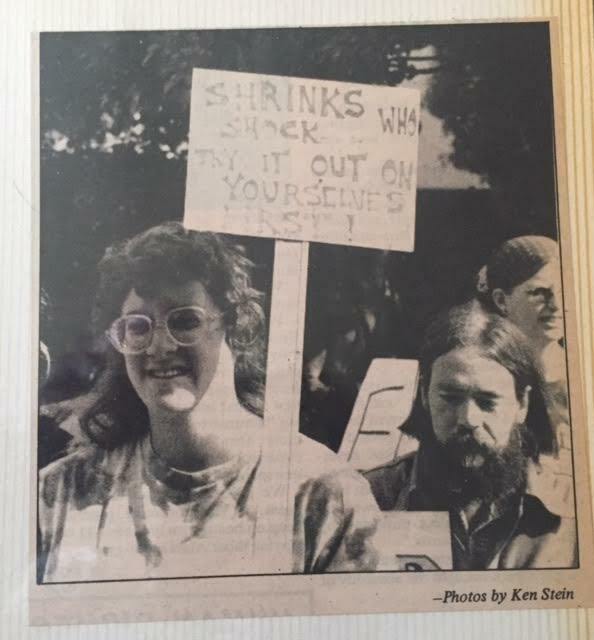 These last photos were of a demonstration against the use of electroconvulsive shock treatment. 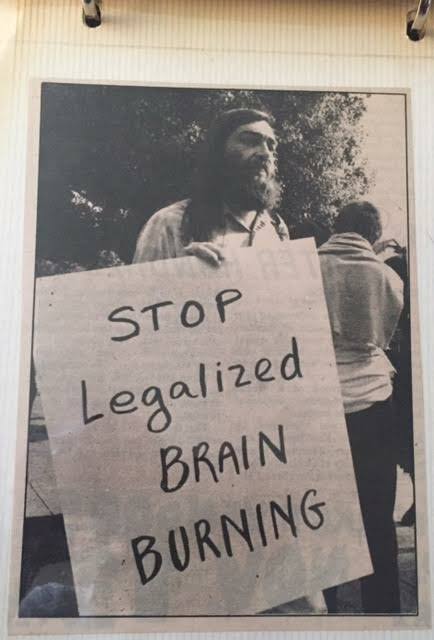 In 1982, the Network Against Psychiatric Assault led a successful drive to ban electron convulsive therapy in Berkeley. The measure was passed by Berkeley voters but was later overturned by the courts. 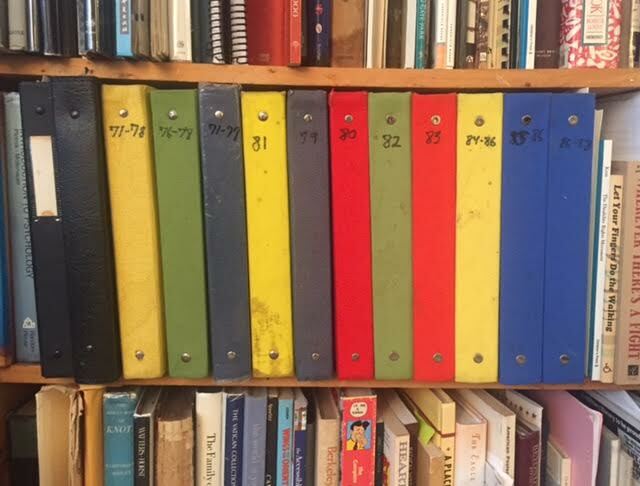 So there we have it – the first installment of greatest hits from Stein’s binders of writing and photography. For those who take interest in our architectural heritage, rejoice in this. 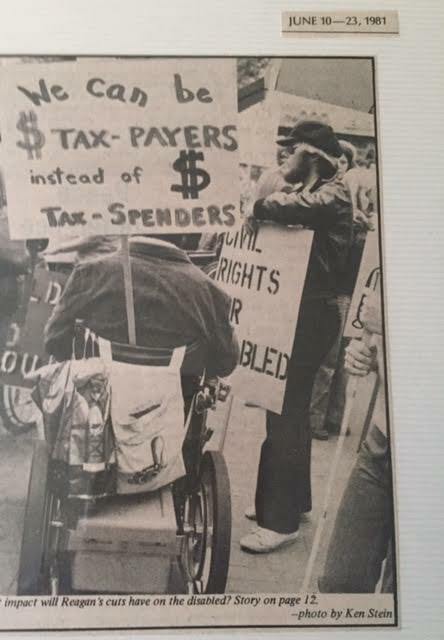 For those who support struggle, take inspiration from the stories of early disability rights activists. 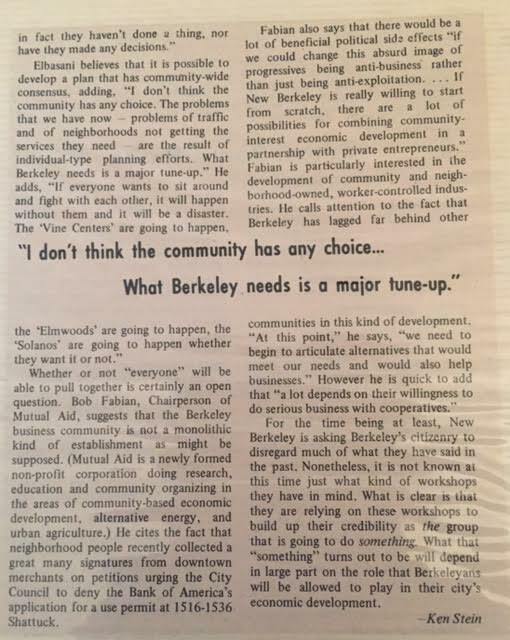 For those who are skeptical of “tune-ups” of Berkeley and of a “New Berkeley,” learn from history. 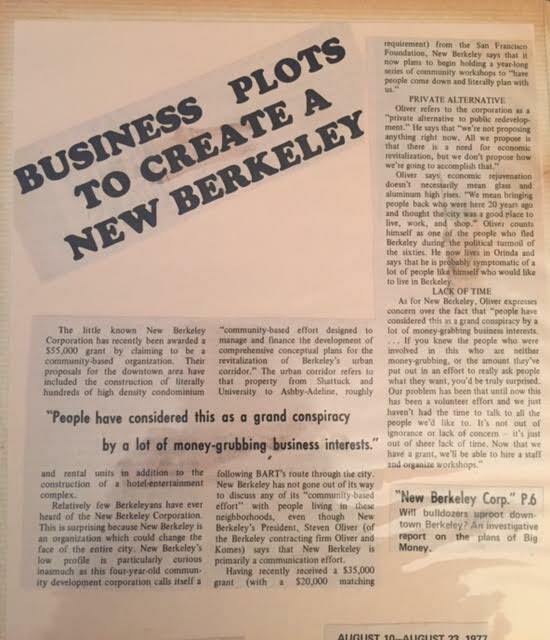 Part of what makes Berkeley, well, Berkeley, is our concern for architectural heritage, our skepticism about developers’ plans for a “New Berkeley,” and our support for struggle. For those who embrace these values, this post’s for you. You know who you are. 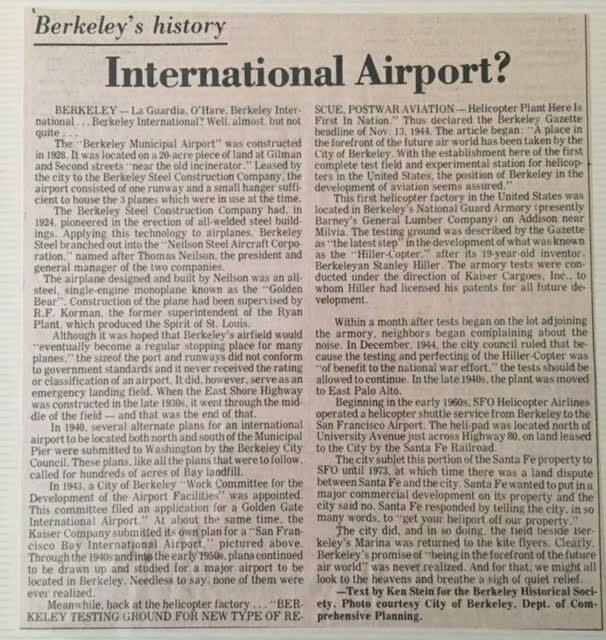 I showed the draft post to my friend As is often the case, he lingered over one article, the one about the plans for an international airport. “I guess it seemed like a good idea at the time” was all that he could say. What about the glimpse at random pieces of our history?